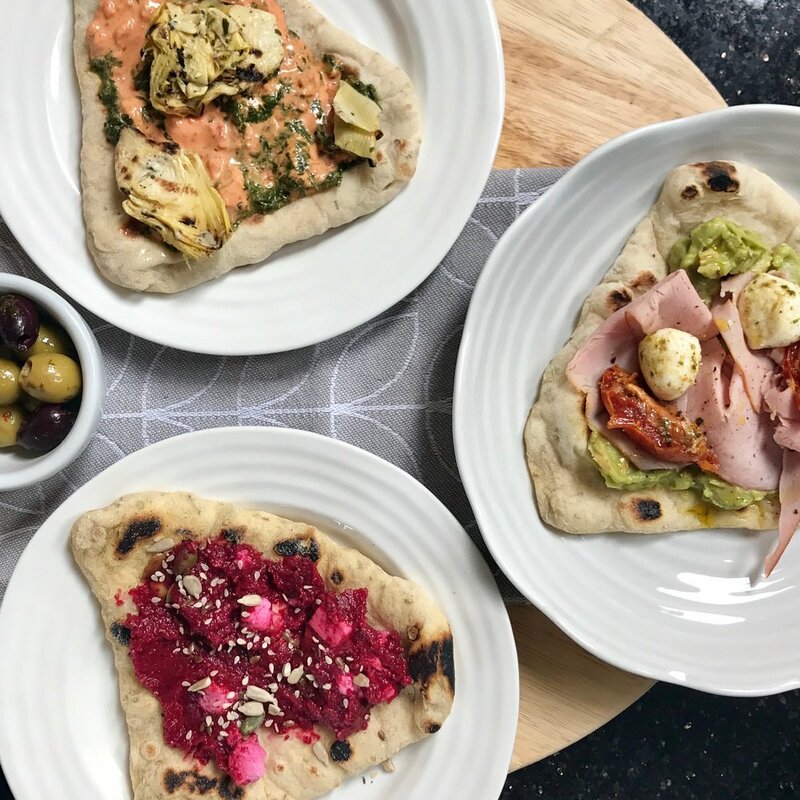 PAN-COOKED TWO MINUTE FLATBREADS — NORTHERN DOUGH CO.
For minimum-effort-maximum taste our pizza dough flatbreads will satisfy every time and are perfect for a quick lunch, using up fridge leftovers, or piling up BBQ favourites. Toppings of your choice – we love fresh dips or houmous, roasted veg and goats cheese, but anything goes! Cut your dough ball into four quarters, and flatten/ stretch each piece with your fingers and hands until it is roughly 0.5cm thickness. Heat a large, flat bottomed frying pan (don’t use oil, keep the pan dry) until it’s scorchingly hot, and then carefully drop your dough onto the surface, two at a time. Turn the pieces every 10-15 seconds, until they start to char and puff up in places. It will take arounds 1-2 mins in total. Store the cooked flatbreads in tin foil while you cook the rest to keep them warm. Top and enjoy!